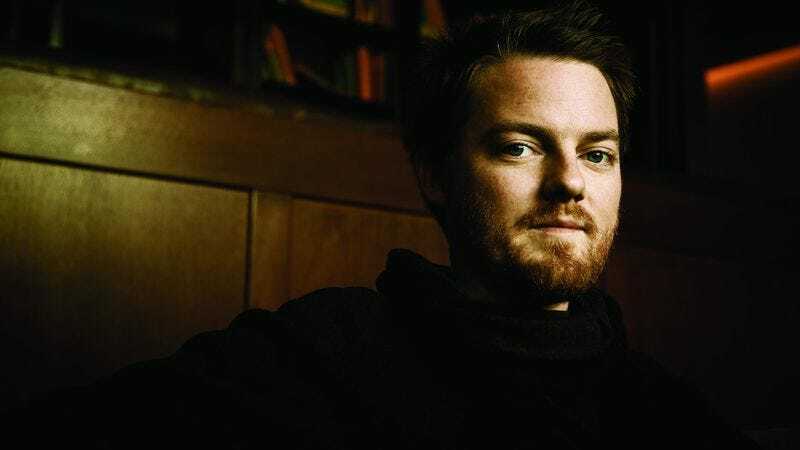 Eluvium makes ambient music for the masses. From his earliest EPs of minimalist piano suites to 2013’s sumptuous, sprawling Nightmare Ending, Portland’s Matthew Robert Cooper has composed his intricate, textural sonic landscapes with a rhythmic backbone, one that often results in melodies that can’t help but engage the ears. That’s perhaps why some might not even label Cooper’s music “ambient,” as, if we’re adopting Eno’s entreaty for ambient music to be “as ignorable as it is interesting,” it’s often just too lovely to ignore. It shouldn’t come as much of a surprise, then, that False Readings On originally centered around themes of cognitive dissonance. Over time, Cooper’s own struggles with self-doubt, anxiety, and identity wormed their way into the mix. You can hear it in the songs, too. In “Beyond The Moon For Someone In Reverse,” for example, a steady stream of tape hiss ripples beneath an otherwise lovely drone, imbuing what should be calm with a sense of forlorn dread. Halfway through, however, a triumphant, if funereal, chorus of voices slowly ascend, sweeping the static into more celestial territory. “Regenerative Being” is even more expressive, as its sustained, shuddering drone implies an anxious restraint, while the random, operatic outbursts seem to represent desired catharsis. By its end, however, the song sputters off into fits and starts before segueing into the crushing distortion of “Washer Logistics.” Anyone who’s struggled with anxiety will recognize the journey. False Readings On also finds Cooper slowly integrating some new sounds into his established template. Though symphonic piano suites have always been an Eluvium staple, you’d rarely, if ever, describe one of Cooper’s songs as “orchestral.” “Fugue State” changes that, however, as Cooper bends his drones and ebowed guitars to evoke the soft strain of singing saw or muted brass. Underneath it all is what sounds like a flurry of synthesized woodwinds; there’s something uncanny about it, a disorientation that’s truly beguiling. The vocals are also key. Cooper’s recent LPs have revealed an increasing interest in voices, and False Readings On finds him approaching their incorporation from yet another angle. 2010’s Similes saw Cooper singing his own lyrics, while Nightmare Ending brought Yo La Tengo’s Ira Kaplan in for its closer, “Happiness.” False Readings On finds Cooper eschewing lyrics altogether, instead focusing on the voice as an instrument rather than a vessel. Eluvium’s music has never been lacking in humanity, but here the vocals provide a deeper intimacy, as if we’re privy to the conflicted cries in Cooper’s head. It’s not always a pleasant listen, honestly, as the discord fueling the music can sometimes feel overwhelming. False Readings On leaves you with as much unease as it does catharsis. But these steps forward make sense for the composer as he forges on. Because, as underrated as Similes is as an ambient-pop album, and as welcome as Kaplan’s cameo was on Nightmare Ending, this emphasis on evocative instrumentation not only has the power to impart, but also to illuminate. 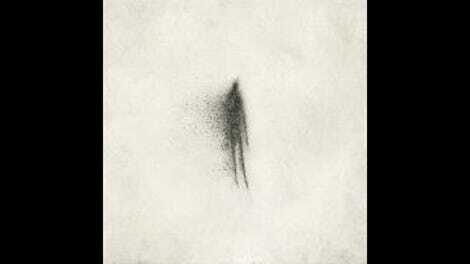 Eluvium’s stories are best told through sounds, not words. Purchase False Readings On here, which helps support The A.V. Club.